When imagining the Philippines, picturesque, crystal-blue waters with white sand beaches are what usually comes to mind. And rightfully so. The Philippines are made up of 7,107 tropical islands and many of them are exactly as you imagine. That picture-perfect postcard…that image of water so clear it hardly seems real…that is the Philippines. But so too are the massive skyscraper filled cities that have all the amenities of any downtown district in the world. The Philippines can be whatever you want them to be, you can pick your dream lifestyle. If you want it, it can be found here. Do you love exotic islands? Check out Boracay. Cooler mountains towns? Go to Baguio and Tagaytay. Adventure? Palawan could be your perfect paradise. Big cosmopolitan cities? Cebu City has it all! 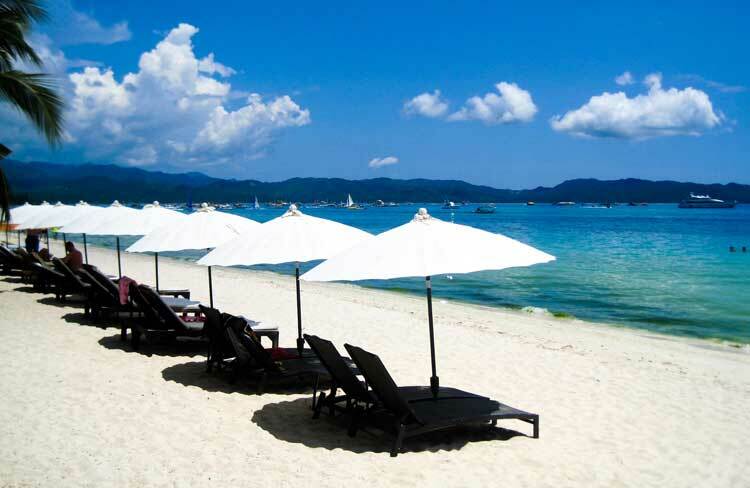 The possibilities are endless; the Philippines might just be your dream retirement. Not only do you have your pick of islands to explore, but you also have your choice of climates as well. The majority of the islands have tropical, hot and humid weather. But if that isn’t for you, there are mountain towns with cooler temperatures and less humidity. Even the locals, who are used to the heat, flock to these spots to cool off whenever possible. English is one of the official languages of the country, so it’s easy to communicate with most everyone you meet, which makes the transition all the more effortless. In fact, it seems like no matter where you go, the most common thread throughout the archipelago is the kind-heartedness of the people. It doesn’t matter if you are in one of the major cities, at the beach or in a remote little mountain town, the people are always warm, welcoming and willing to chat. The government also makes is easy to retire there. If you apply for an expat retiree Special Resident Retiree’s Visa or SRRV, you can live there permanently with non-immigrant status plus you can travel all you’d like with multiple-entry privileges. There are 11 international airports which mean travel, near and far, is easy. Great private hospitals are peppered throughout the islands, and many are JCI accredited so you can feel at ease regarding healthcare. No matter where you choose to live, the cost of living is so much lower than in Australia. In some places, you can rent a three-bedroom, modern, furnished townhouse for only $425 a month. In the bigger cities, in a fancy new high-rise with all the amenities, prices start from $1,500 but that is still less than you’d pay at home for an equivalent property. Prices are so low that a cleaning lady, a gardener and weekly massages will become a part of your lifestyle. A round of golf can be as little as $9. You can live like royalty on a budget. The Philippines big cosmopolitan cities, like Cebu City and Manila, are just like any big city in Australia. There are massive shopping centres featuring well-known stores like Mango, Topshop, The Body Shop and Gucci. There is even an S&R, which is their version of Costco, not to mention dozens of Starbucks. If you’re a film fan, you’ll find several modern cinemas playing the latest box-office hits. Cebu. The island and the name brings up images of blue skies, roasted pork, friendly smiles and sweet mangoes. It’s not hard to see why many expats retire in the ‘Queen City’. Cebu and its surrounds offer a winning mix of island life and big city comfort, at prices that don’t break the bank. It’s this balance of having your French croissants and eating them on a hilltop too, that makes Cebu special..
On the western side of Palawan island, halfway between the breathtakingly beautiful resort town of El Nido and the capital city of Puerto Princesa, lies Port Barton–a little beach town that always seems to be just waking up from a nap.